Alex Mejias has been making music all his life. Writing and composing became his passion after years spent in a supporting role in the rhythm section as a drummer. Drawn to the artistry and lyricism of folk and singer-songwriter music, he took up the acoustic guitar and honed his craft as a solo artist and the frontman of an indie-pop band in Charlottesville, VA.
Having spent his life in the church, leading music since the age of 16, Mejias found himself time and again called into service as a worship leader and then as a writer. The experience of leading music in both sacramental and modern church contexts gave Alex the unusual gift of being able to bridge seemingly opposed styles and sensibilities. That gift first came to fruition in the form of High Street Hymns, a reclamation and reinterpretation of the canon of hymns once forgotten. In High Street Hymns, Mejias sought to bring worlds together, even to the point of mixing musical styles in new and surprising ways. It was a time of exploration and experimentation. New ground was gained. In this new season, the search has been for that which transcends artificial boundaries. The common ground that already exists, without the need for combining disparate elements. Kingdom Land is the culmination of that search. Produced by Matthew E. White in Richmond, VA, with the help of the Spacebomb House Band, Kingdom Land claims new ground by returning to common ground. A familiar and vibrant sound, hearkening back to movements in the soul and pop sounds of late 60s and 70s. 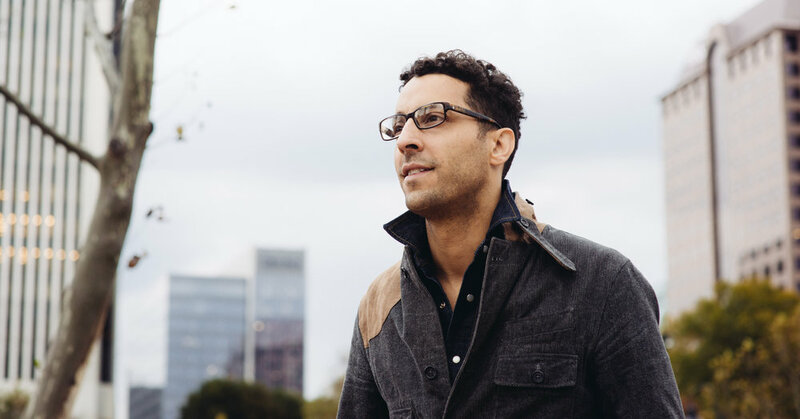 Lyrically, Kingdom Land began as a reflection on Mejias’ journey of faith, facing and owning the implications of coming of age in height of American Evangelicalism while embracing a departure to a new space. Writing over twenty songs, whittled down twice to just nine, the album is defined as much by the songs that do not appear as it is by those that do. Indeed, the album’s first track “Mother,” an adaptation of a prayer by metaphysical poet and 16th Century nun Julian of Norwich, explores the motherhood of God. From there, “Beams of Heaven” and the title track “Kingdom Land” highlight and celebrate the Christian movement towards justice, both individual and structural. Not shy about his passion for social justice, Mejias has sought to bring his work as an artist together with his work as an advocate for criminal justice reform and civil rights. Mejias will be donating funds raised from performances and merch sales to the Richmond Community Bail Fund, an organization that Mejias helped found that provides free bail to people who cannot afford it as they await trial.